On Tuesday, Verint Systems Inc. published an official letter to investors, declining a demand made by one if its stakeholders, Neuberger Berman, to appoint three new candidates to its board of directors at the 2019 annual shareholder meeting. “The Board has carefully reviewed Neuberger Berman's candidates, and determined that none of these candidates' skills are additive to the current board," Verint wrote. New York-headquartered private investment firm Neuberger Berman holds a 2.6% stake in Verint. The company has several larger stakeholders, including Vanguard Group Inc. with 9.14%, Blackrock Inc. with 7.18%, and AllianceBernstein Holding LP with 4.02%. Surveillance and business intelligence company Verint has reported stagnant revenues over the past few years and a decline in its net profit. The company reported revenues of $1.13 billion for both 2015 and 2016, higher than its reported $1.062 billion revenues for 2017. In 2018, Verint reported slightly higher revenues of $1.135 billion. Neuberger Berman managed to appoint a candidate to the board two years ago. The board currently numbers eight members, all non-Israeli except chairman and CEO Dan Bodner. The three directors proposed by Neuberger Berman are former Fair Isaac CEO Mark Greene, former Aspect Communication CEO Beatriz Infante, and former Temenos president Oded Weiss. 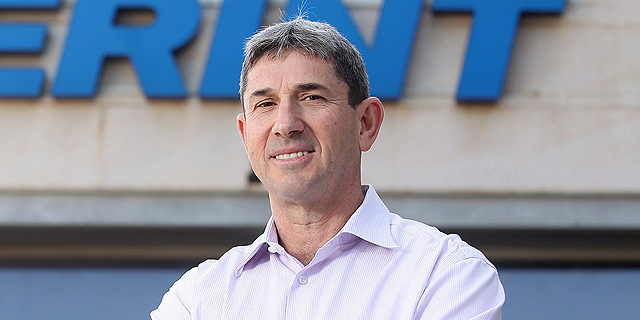 In its Tuesday letter, Verint stated its growth strategy over the past two years "has driven strong financial performance, including accelerating revenue growth with expanding margins." The company expects its revenues to increase by around $25 million over the upcoming year, Verint said, and has seen a stock increase of over 56% over the past 12 months—46% up since the beginning of 2019. "Given this momentum, the Board believes that Neuberger Berman's nomination of directors is demonstrably unwarranted," Verint wrote. In an interview with Reuters, Neuberger Berman portfolio manager Benjamin Nahum said the firm would like to conduct a dialogue with Verint, but that the company is being "defensive."